Paul Gauguin Cruises is offering up to $500 Shipboard Credit on balcony staterooms and suites on select voyages during the line’s ‘Live Large On Our Small Ship’ promotion when booked by 31JUL, 2018. As an additional bonus, deposits have been reduced to $250 per person. 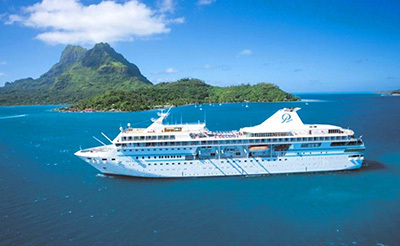 Additionally, the cruise line is offering savings of 50% off standard all-inclusive cruise fares on all voyages, plus included airfare from Los Angeles.